If your cover has a GeoBubble name and bubble shape then you know it is made especially for swimming pools. GeoBubble is the top brand in thermal pool cover material. It is 25% more resilient than a traditional thermal cover so the cover’s lifespan is extended. With a round shaped bubble (as found on older bubble covers) there were weak points and sharp edges on the bubble itself. With GeoBubble, the stress points have been minimized, and it has allowed the upgrade of the EnergyGuard and Sol+Guard covers to the ‘High Performance’ category in thermal pool covers. It is an imported yet affordable pool cover material that is already a bestseller across Europe where 80% of pools are covered. In South Africa, GeoBubble pool covers sit at the top of their class – nothing comes close to matching their performance. GeoBubble is perfect for those living a sustainable lifestyle. With the chemical, power and water savings, GeoBubble instantly shrinks the pool’s carbon footprint and clears your green conscience! When removing a GeoBubble cover, less water runs off onto the paving / surrounds. Chlorine works more efficiently too. Normally, sunlight makes chlorine evaporate into the atmosphere (which causes greenhouse gases). GeoBubble prevents this and you’ll use less chlorine. 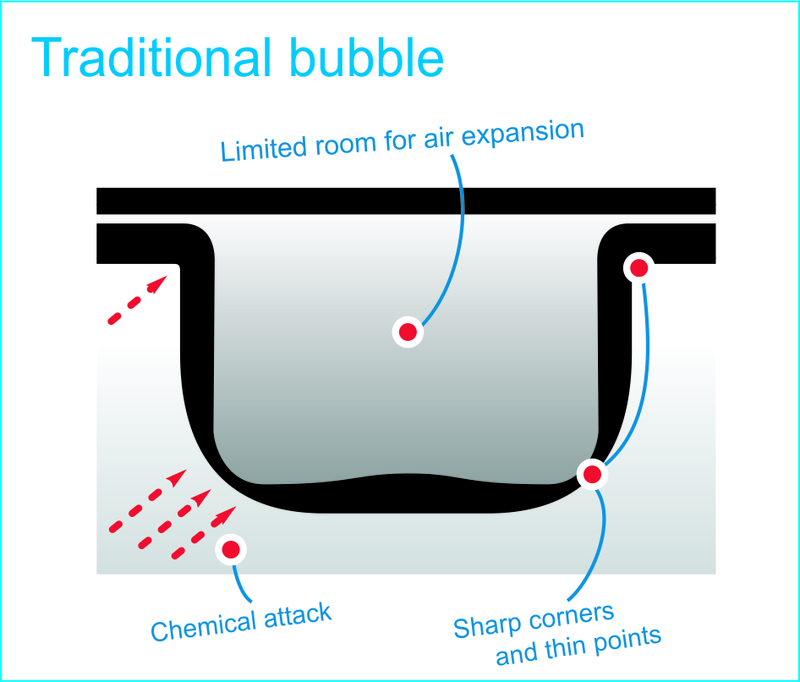 In winds of up to 50km/hr, a GeoBubble cover will actually adhere to / grip the surface of the water and the cover will not lift. Good news for those in windy areas. 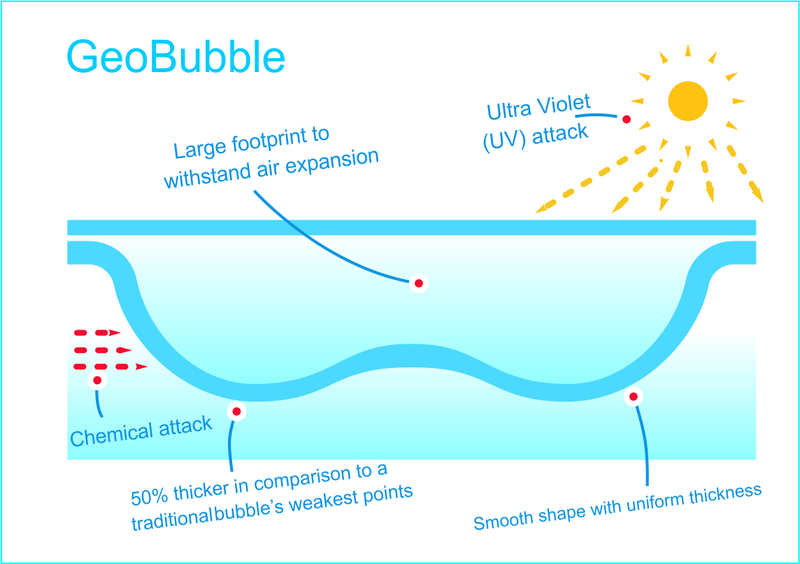 GeoBubble is made from durable 400 or 500 microns polyethylene. The additives used combine weather and chemical resistant pigments with high performance light, weather and chemical stabilization. If you have ever dreamed of a pool that costs less, is hassle-free and heated by the sun’s energy only, then our GeoBubble range is your answer! Take control back and fall in love with your pool again! Why would I NOT buy a GeoBubble pool cover? If you have small children and pets that need protection from the pool water, please do not buy this GeoBubble thermal cover as it is unsafe for children and pets in terms of drowning prevention.